for years i have been reading patterns that end by saying to block the piece. i never really knew what that meant or why you should block your work…then i read about it and knew why you should block your work but was still too lazy. then i made a sweater vest and it came out longer on one side than the other, so i decided it was time to take this whole notion of blocking seriously. i got a blocking board from knitpicks and for my first attempt at blocking, did some granny squares that i’m making for an eventual afghan. what a difference! they look so nice and crisp and square! plus, i’ll be able to make them uniform in size. i’m officially converted! 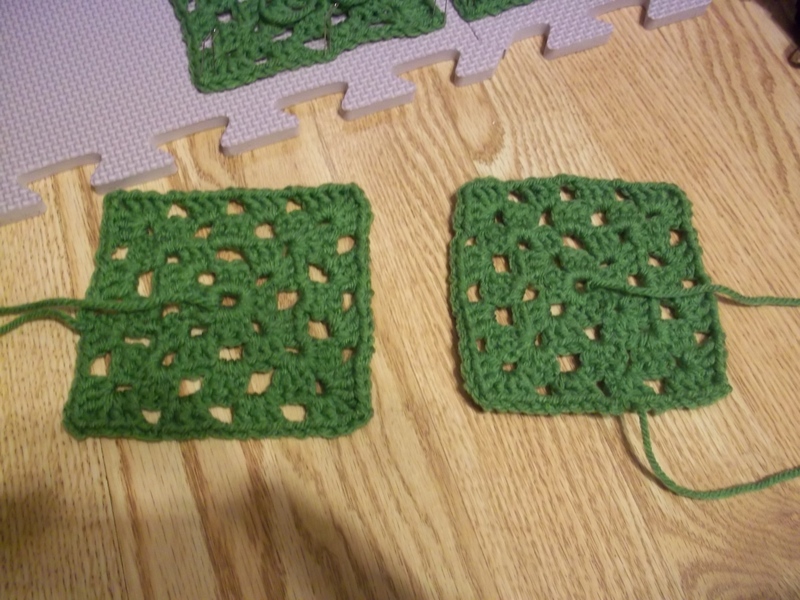 This entry was posted in Crochet and tagged blocking, crochet, granny squares. Bookmark the permalink.